A garage door is only an asset if it’s working as expected and adding value to your property. And as your top garage door repair experts, we understand just how frustrating it is if you are having a problem with your garage door remote. If you have checked the batteries but your remote still won’t work, contact Pros On Call and one of our experts will arrive quickly. 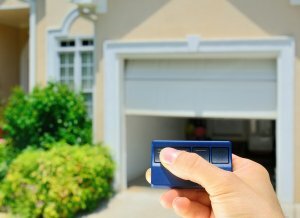 We will diagnose the problem with your garage door opener remote and provide an affordable solution right away such as remote repair or even garage door remote replacements. Not to worry, we are here to make things easier for you! If you have a garage door that’s demanding attention, Pros On Call is the company you can trust to resolve the problem. We have trained technicians with a minimum of five years of experience ready to quickly respond. Plus, our courteous, prompt garage door services are always affordable and tailored to your needs. As our name suggests, we pride ourselves on being readily available for customers in need of fast, reliable emergency garage door services. We repair, maintain, and replace all types of garage doors and that includes repairing or replacing your garage door remote. Garage door remotes are handy devices that allow you to automatically open your door without the need to lift it manually or get out of your vehicle when it’s too hot or cold and raining. Remotes are designed to send an infrared signal to a receiver that prompts the electric motor on your garage door to open. Remotes will only work within a certain range. If none of these steps solve your problem, just give us a call and we will determine what the issue is and solve it for your quickly. If your remote is beyond repair, we have affordable garage door remote replacements available. We can get you a new remote that will work with most common garage door brands, including Genie, Liftmaster, Craftsman, Stanley, Powermaster, and Chamberlain. Our team will arrive quickly to pinpoint the problem if you need emergency assistance with your garage door remote. We’ll check all components, look for signs of rust or discoloration in the battery compartment, and determine if the IR unit/sensor (“eye”) needs to be replaced or if the settings need to be readjusted. Has your garage door stopped working properly or altogether? Instead of panicking or stressing, give us a call and we’ll arrive at your location as quickly as possible. And you’ll never have to pay extra to benefit from emergency garage door services! Checking the batteries periodically is one of the easiest ways to maintain your remote. If your batteries are working but weak, you may notice a reduction in the range where your remote will trigger the response from the opener. Occasionally resetting the remote by removing the batteries for approximately 30 seconds should reboot the circuit boards in many cases. Wiping off the IR unit with a soft, damp cloth will help keep your remote working for longer. Polishing discolored battery contacts with fine-grit sandpaper will help ensure full power from the batteries reaches the circuit board in the remote. And keep in mind that we provide professional garage door maintenance services for all components of your garage doors. By utilizing our ongoing inspections you can catch small issues before they turn into costly problems. There are three main types of openers used on residential garage doors. Chain drive is the most common. Belts instead of chains are used on belt drive openers. A screw drive opener rotates on a steel rod. It’s an appealing choice because it’s easier to maintain and has fewer components. Note: The number of buttons on a remote will determine how many devices it can control (e.g., one or two doors, your garage light). Some problems with residential garage doors like broken springs or cables are fairly easy to spot. Yet there are other possible reasons why your garage door may not be functioning as expected or not operating at all. Before calling on our experts, consider some of the reasons why your garage door may not be working. Transmitter batteries are dead: If it’s been awhile since you’ve changed your transmitter batteries (or you never have), this might be the problem. Photo eyes are out of alignment: Located on each side of your garage door, photo eyes sometimes get dirty. Also, check to see if the photo eyes are still aligned properly. Debris buildup on the tracks: If your garage door stops before closing and goes back up, it may be due to the buildup of debris on the tracks. Also, make sure there isn’t anything physically blocking the door. Limit settings need adjusting: Another reason why your garage door may be going back up instead of fully closing (or staying closed) is that the limit range needs to be adjusted or reset. The knobs and dials for this task are on the garage door motor. The disconnect switch is unhooked: Every garage door has a disconnect switch so you can close/open your door if your power is out. If this switch becomes unhooked, it could cause your door to become disconnected from its motor. Whether it’s garage door replacement, repair, or routine service that’s on your to-do list, Pros On Call is your one-stop source for the garage door services you need at the prices you prefer. We look forward to adding you to our growing family of satisfied customers. Contact us today to learn more about our garage door services or to request our garage door remote services. 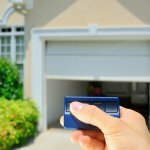 Garage Door Remote https://prosoncall.com/garage-doors/repair/remote/ 3.9/5 based upon 10 reviews.